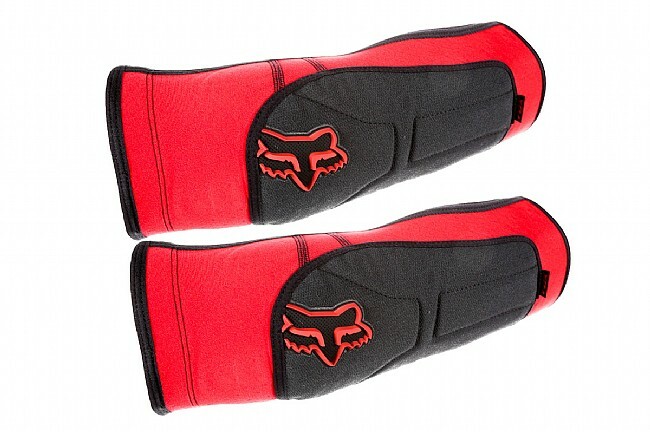 Fox's Launch Enduro Elbow Pads provide slimmed down protection for ultra fast descents. For these elbow pads, Fox trimmed all the fat. What's left is a slip on pad that gives good protection without including a hard pad. The sleeve is pre-articulated for comfort while riding, and its perforated neoprene construction is comfortable and wont leave you sweating. Durability is no problem either, because even though these are slimmed down, they can still take a beating. The Launch Enduro Elbow Pad is available in Black with raised logo. Small – 26 - 29cm. Medium – 27 - 30cm. Large – 29 - 31cm. X-Large – 30 - 33cm. These are a bit tighter than expected, but comfortable and flexible. They feel a bit like a wetsuit, and don't breathe very well. I tend to carry these on climbs and put them on for technical descents. I am that crazy 44 year old women who has been addicted to bikes since my first bike. I have actually gotten better (riding) the older I get (crazy). Anyways, I tend to attempt things that only expert crazy mtn bike riders should be doing. I whined up hiking-a-bike. But, I do crash (more like fall over) a good bit. So I felt I needed some protection. These did the trick.